In the United Stated ankle sprain is 1 of 10 reasons of visiting in emergency. 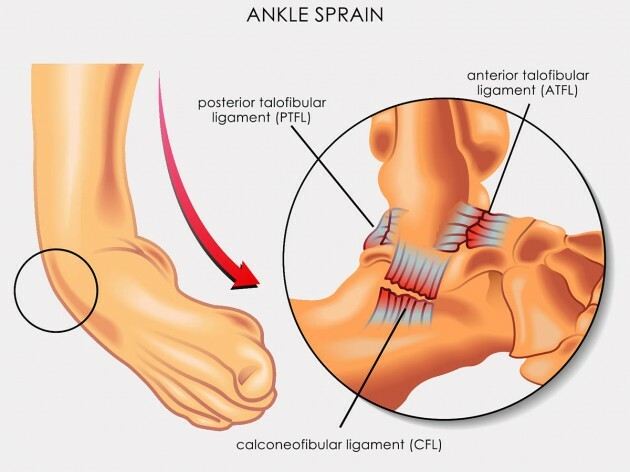 It involves the lateral side of the ankle with the anterior talofibular ligament (ATFL) and the calcaneofibular ligament (CFL). There are three sprain grades: mild (with partial AFTL injury), moderate (with complete AFTL and partial CFL torn) and severe (complete AFTL and CFL torn). Injury based on sudden changes of direction (foot in inversion), especially in the grass, and when the athlete fall onto the other’s foot after jumping, so we can notice it mostly in basketball, volleyball and football (soccer). 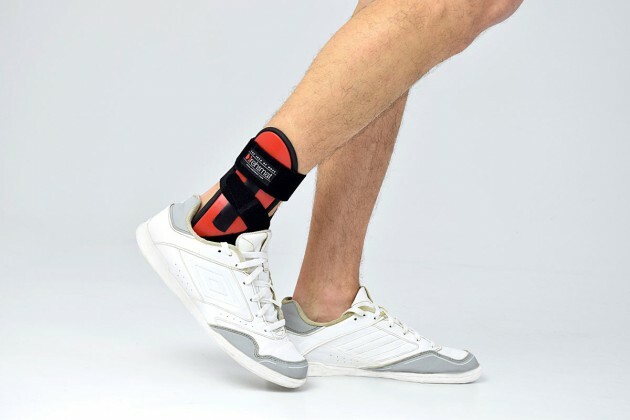 It’s important to remember, that the ankle sprain is common in every kind of sports, so professional brace such as AM-SX-08 in sport training is very important. rear cross-strap that is fastened to medial shell and goes around the Achilles tendon to lateral shell. 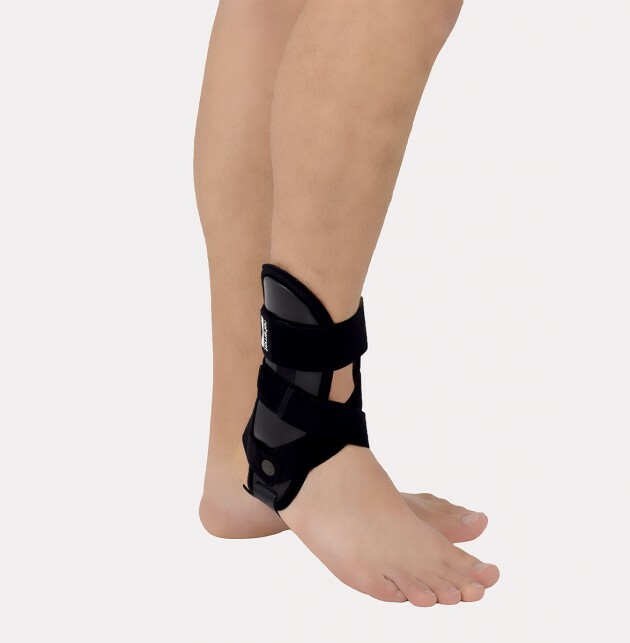 This construction stabilizes the ankle joint precisely and allows to use it in sport shoes. 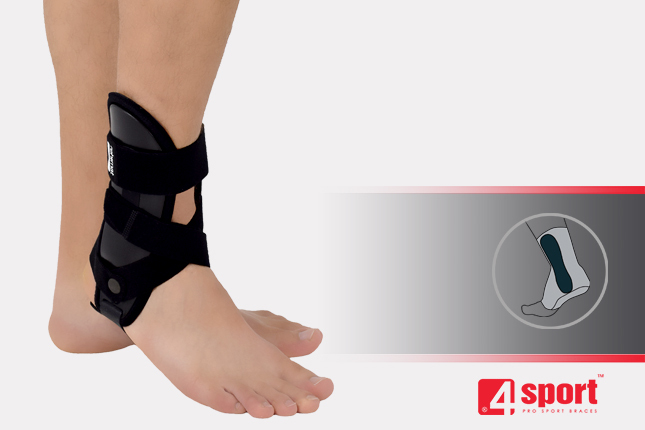 AM-SX-08 ankle brace fit to the body, stabilizes foot muscles and other soft tissues against the strain or fracture.